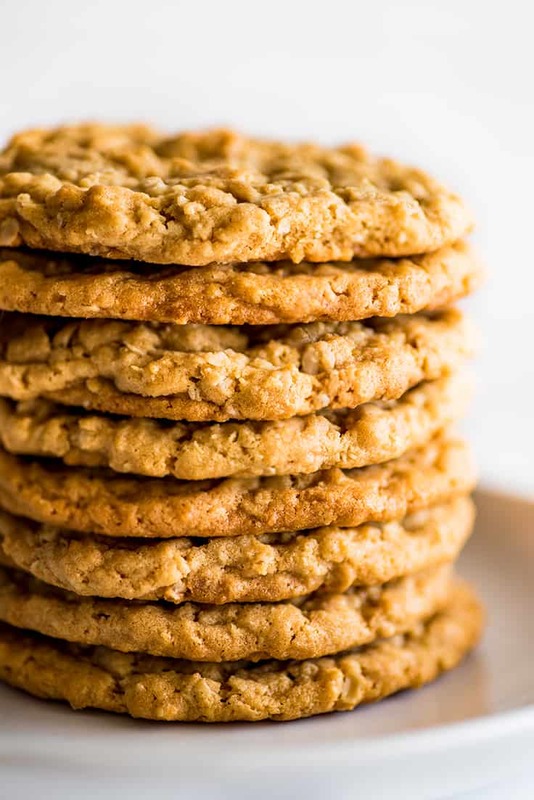 Fantastic chewy, peanut-buttery Peanut Butter Oatmeal Cookies that everyone will love, plus instructions for freezing the dough for later. If it’s mix and match in the kitchen sort of day, and you feel like smooshing two really good things together to make something even better, you really can’t go wrong with Peanut Butter Oatmeal Cookies. If you’ve never had one before, you’re in for a treat, because they’re the perfect cookie hybrid. 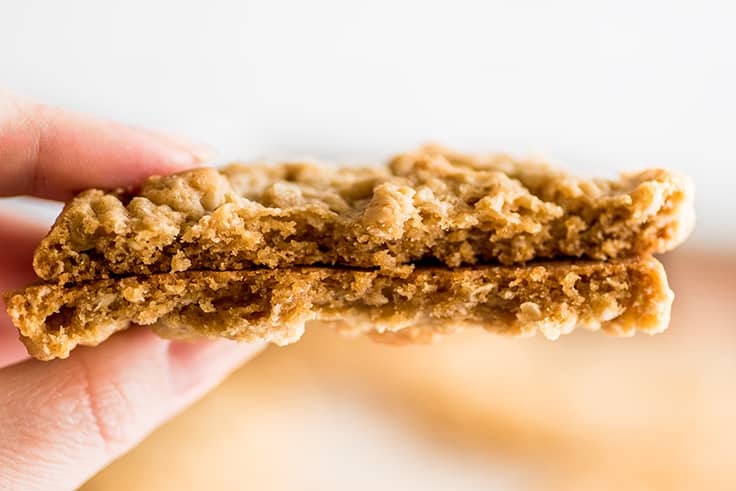 All the satisfying, rich peanut-buttery flavor of a good peanut butter cookie and the bendy, chewy texture and crispy edges of an oatmeal cookie. Plus (at least here in California) this isn’t a cookie you see every day, so you show up to the office, or a party, or a family dinner with a plate of these, and people are always excited to get something a little different and new. This recipe will make two-dozen large cookies (no worries small-batch friends, I have a small-batch version of these on the site). They’re great for gifting, and as I mentioned above, parties, but, if you don’t feel like sharing, there are instructions below for freezing baked cookies and dough so you can stock up your freezer for later. 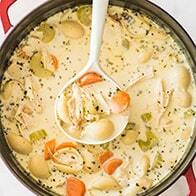 Either way, you should definitely make these this weekend. Cream softened butter, peanut butter, and sugars. Stir in the flour, oats, baking soda, and salt. Nothing new or difficult. You just want to be sure your butter is properly softened to start (you should be easily able to squish it with your finger, but the butter should hold its shape around the indentation). Butter that’s too cold will be difficult to mix, and your dough may end up too dry. 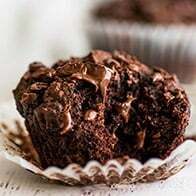 And because of the amount of dough this recipe makes, I prefer to make it in a stand mixer for convenience, but you can use a hand-held electric mixer or muscle power and a whisk, and your cookies will come out just as well. This recipe calls for quick-cook oats (AKA instant or minute oats). These are rolled oats that have been processed into smaller, thinner pieces so they cook more quickly. 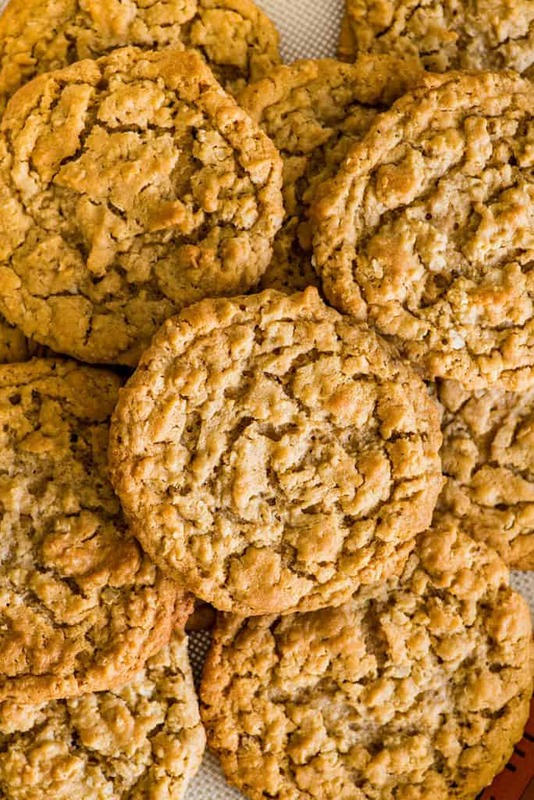 Using quick-cooked oats gives you a less “oaty” cookie. You’ll still get plenty of texture, but your peanut butter oat cookies aren’t going to taste like a granola bar. If you normally keep old-fashioned/rolled oats on hand, not a problem. You can either embrace the extra texture and use them as is or place 2 cups of oats into your food processor, pulse until most of the oats have been cut into smaller pieces and measure out 1 1/2 cups of the processed oats to use in the cookies. Do not use steel-cut oats. No good can come of that. Freezing Baked Cookies: To freeze baked cookies, cool completely, transfer to a freezer bag, and store in the freezer for up to 2 months. When you’re ready to eat one, you can defrost the cookie on the counter for 10 to 15 minutes or just eat it frozen. Frozen cookies are surprisingly refreshing on a hot day. 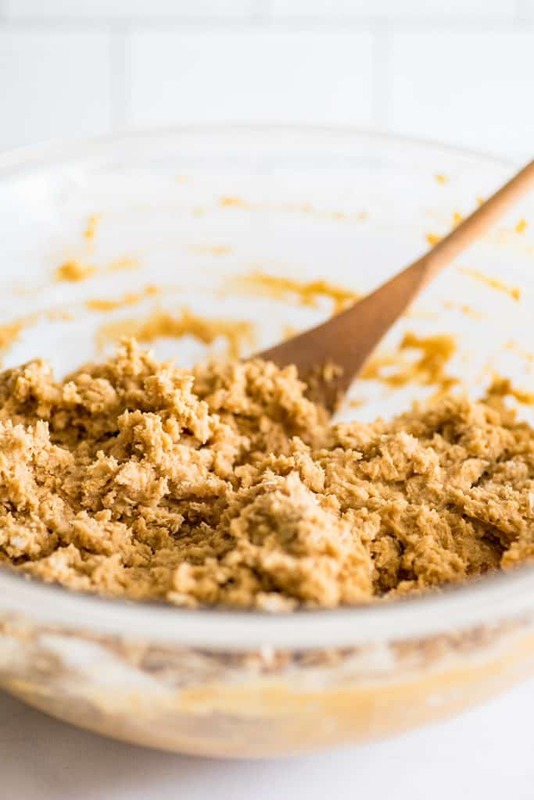 Freezing Cookie Dough: To freeze the cookie dough, shape into balls and place on a plate or tray that will fit in your freezer until dough is frozen solid. Transfer frozen dough to a freezer bag and store in the freezer for up to 2 to 3 months. Baking Frozen Dough: Frozen cookie dough can go directly from the freezer to the oven. 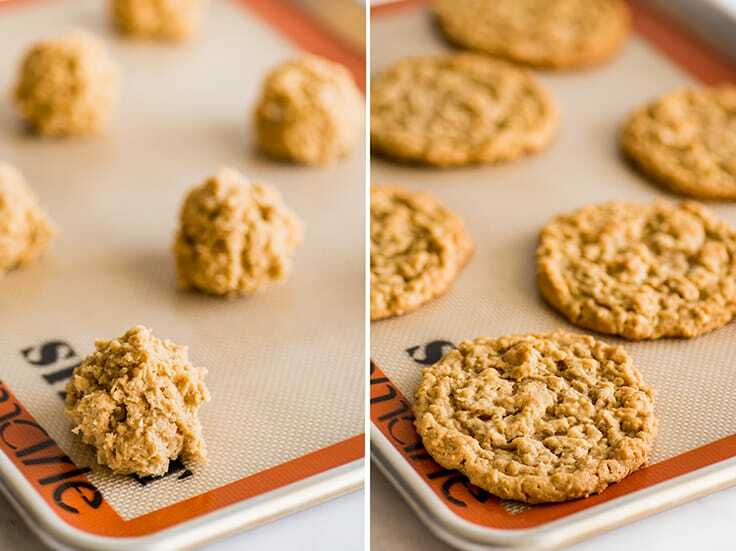 Bake on a parchment paper or silicone baking mat-lined baking sheet at 350°F for 13 to 16 minutes, until the top of the cookie/s looks set and bottom edges are lightly browned. You might also like Small-batch Oatmeal Cookies, Homemade Peanut Butter Sauce, and Do-si-doh Cupcakes. 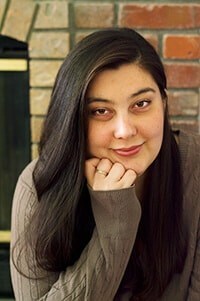 Preheat your oven to 350°F. 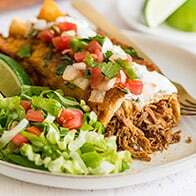 Line three baking sheets with parchment paper or silicone baking mats. In a large bowl or the bowl of your stand mixer, combine butter, peanut butter, brown sugar, and granulated sugar. Beat until well-combined and fluffy, 30 seconds to 1 minute. Add eggs and vanilla. Beat until completely mixed. Add flour, oats, baking soda, and salt. Beat (if using a hand-held mixer or making by hand, use a wooden spoon to stir) until just mixed and a sticky dough forms. Scoop golf-ball-sized scoops of batter onto baking sheets, 8 to a sheet as far apart as possible (these cookies SPREAD). Bake for 12 to 15 minutes, until cookies are browned around the edges and tops look mostly set. For crispier cookies, bake until cookies look completely set. Allow cookies to cool on baking tray. Enjoy! 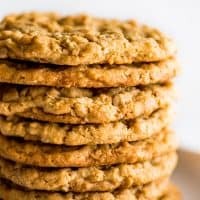 *If you only have old-fashioned/rolled oats, you use those and you cookies will have slightly more texture to them or place 2 cups of old-fashioned oats into your food processor, pulse until most of the oats have been cut into smaller pieces and measure out 1 1/2 cups of the processed oats to use in the cookies.